Whether you’re over being a redhead and are dying (pun intended!) for a new look, or you simply overshot your shade by a few levels and are hoping to reduce the saturation of dye in your strands, you’ve likely looked into ways to remove red hair color from your tresses. 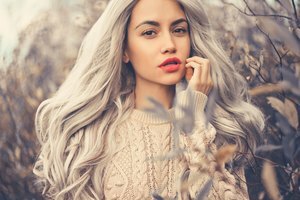 While certainly not always the easiest task, there are several measures you can take to minimize the red pigment from dyed hair, from DIY to seeking help from a pro. Removing red hair dye at home can be done in a couple of ways, depending on how much color needs lifting. Red dye is known to fade a lot over time, so, to reduce the saturation of darker dye, you can start by switching your shampoo to a clarifying formula and washing more frequently until you reach your desired shade. If your red dye is on the lighter side, say a copper or brassy tone, a few treatments with a DIY paste made of baking soda and water can effectively diminish the amount of color on your strands. Far less damaging than chemical alternatives and costing no more than just a few pennies, baking soda provides a safe and natural option for anyone looking to take a green route to color removal. Just mix a little baking soda with water until it forms a spreadable consistency and apply to the hair, rinsing away after a few minutes. Because baking soda can be dehydrating, be sure to follow up with a moisturizing treatment before drying the hair. To rid your red hair of undesired tones, another pantry staple might be able to help. By mixing a few drops of green or blue food coloring with a shampoo formulated for brunette hair, you can balance out unwanted tones commonly seen in faded or orange-looking hair. While this will not technically remove the hair color from your strands, it will work to neutralize the red or orange tones. Be sure to shampoo and condition again after using this method. 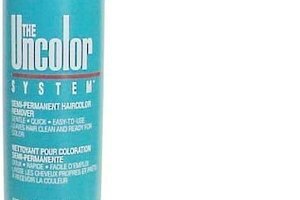 If you need to make a big dent in the amount of dye that has seeped into your hair’s pores, a chemical color remover may, unfortunately, be needed. Lighter shades may be removed entirely with one treatment, although darker tones may require multiple treatments, which should be conducted over the course of several days to prevent damage. These products are usually applied to the hair and left on for not more than 20 to 25 minutes at a time before being thoroughly rinsed clean and followed up with a conditioner. Your hair strands will be incredibly porous after using a color remover, so be sure to rinse well, condition and allow to air dry, if possible. While DIY options are almost always preferred for their convenience and affordability, there may be some cases in which seeing a pro will be your best bet – and well worth it in the long run. If you’re looking to return to something close to your natural color, or especially if you’re hoping to lighten up and go fully blonde from a dyed red, it will likely be a bit of a process to get there. This rings particularly true for anyone who has had multiple processes done or a variety of different colors painted onto their locks. To reach your desired shade, head in for a consult (be sure to take a pic of your ideal look) and set your hair up for success with an at-home strengthening treatment a week or two before you head in for your first session.